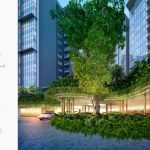 The Garden Residences is a new condominium on the fringe of Serangoon Gardens Estate that will be launched for sale in May-June 2018. 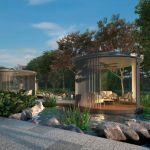 It is being developed by two of the most reputable developers in Singapore, Keppel Land and WingTai Asia. 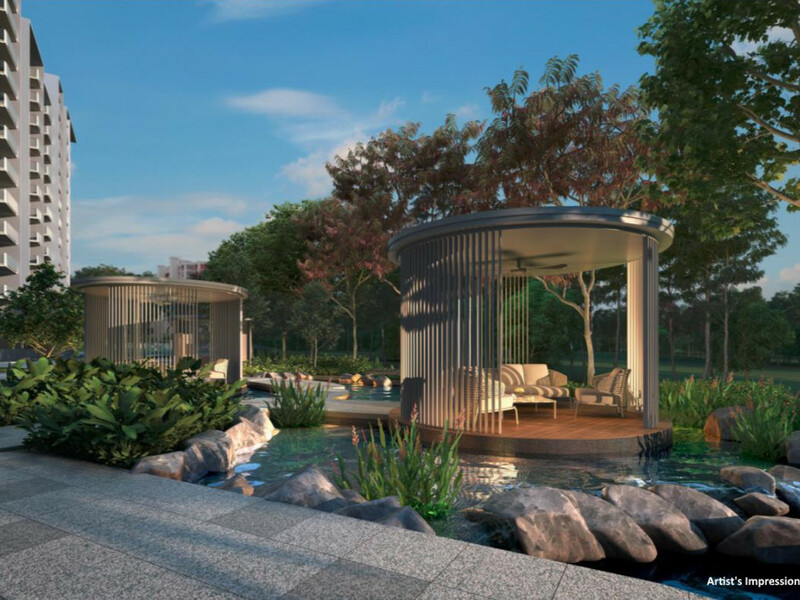 The name, the Garden Residences, is a reflection of the theme of this project – envisaged as homes within a garden setting, amidst lush gardens. 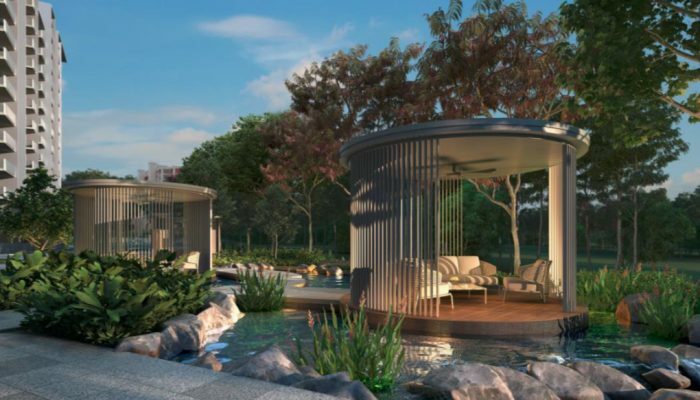 It is also a nod to the fact that this Garden condo sits on the fringe of Serangoon Gardens estate. Serangoon Gardens is one of the most established residential estates in Singapore, with a rich history. It was formerly home to British army personnel before their withdrawal from Singapore in 1971. 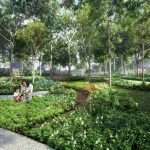 There are still hints of a more leisurely past, in the design of the roads and older houses, and the Serangoon Garden Circus, one of the last few left in Singapore. 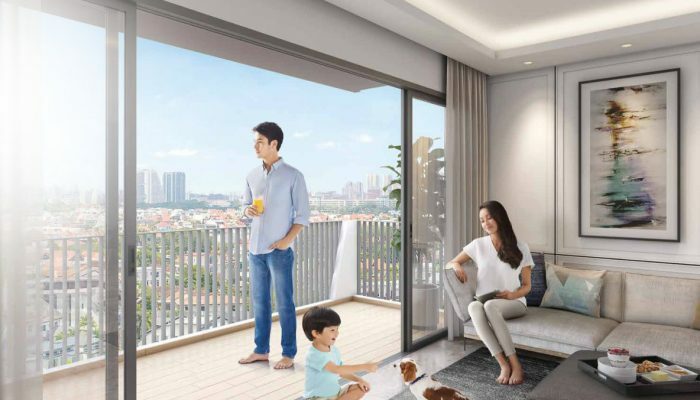 Today Serangoon Gardens village is a popular lifestyle place, with its wide range of F&B outlets, and its ambience that makes it the Holland Village of the North East. 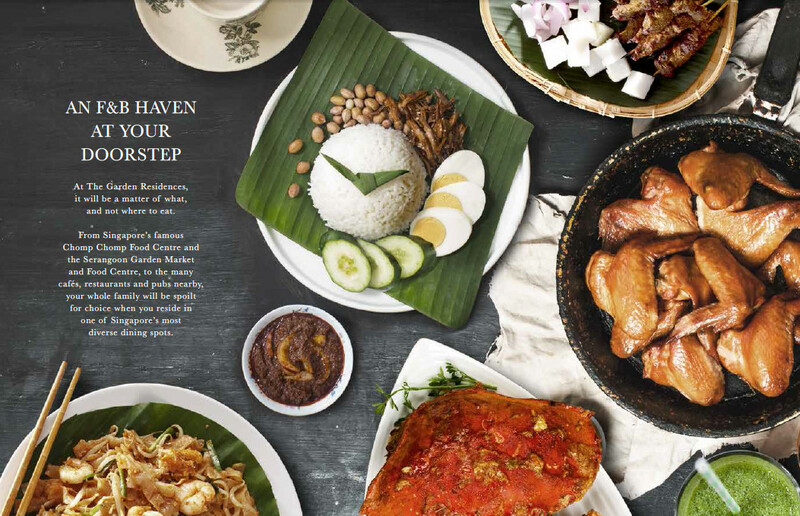 There are speciality cafes, restaurants, bakeries, and Chomp Chomp food centre that boasts some of the best hawker fare around. 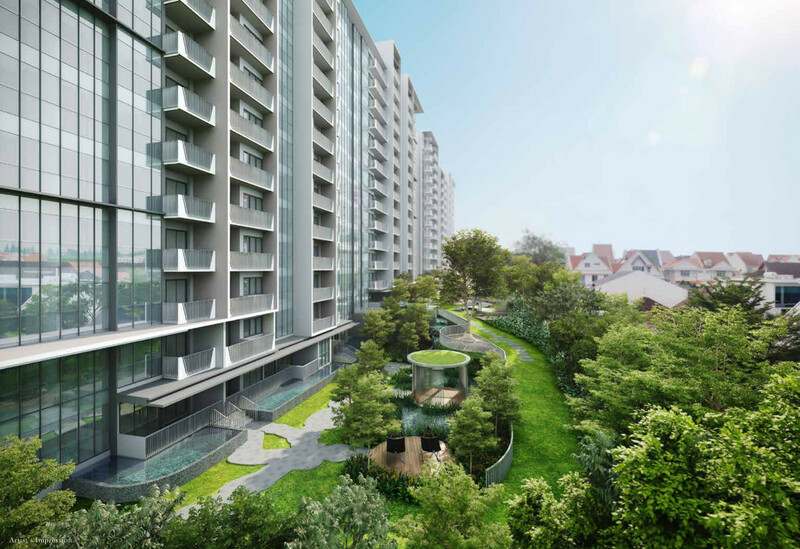 Serangoon Gardens serves its neighbourhood well, as it has collected together almost all the necessary amenities. All the major banks are represented. There are shops, a supermarket at the myVillage Shopping Mall, pharmacies, coffee shops, and the Serangoon Gardens Market. 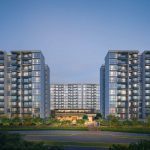 Serangoon Gardens flanks the Garden Residences on its west and south. Which means that it is unblocked on those sides, for a long distance. 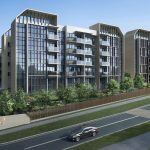 Residents staying in south-east facing units will overlook the landed houses of Ripley Crescent, Lichfield, Raglan Grove, Alnwick, Walmer Drive, the Circus, and the Serangoon Gardens Country Club. 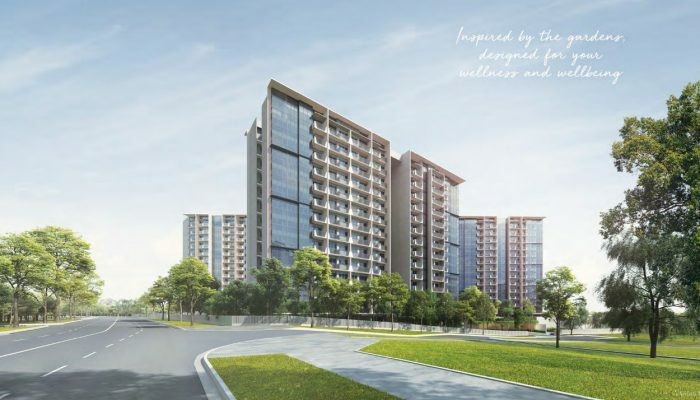 Most of the north-facing ones will look towards Kensington Park condominium, with some facing the HDB estate to the north-east of the site. 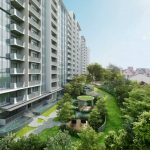 Having a HDB estate next door is not a bad idea, as there are usually shops and amenities to be found there too. For families with young children, it is worth noting that Rosyth Primary school is within 1 km of the Garden Residence, though it is a notoriously difficult school to get into. Even for those within a 1 km radius. If you are buying as an investment in the hope of renting out to expatriate staff or families, note that the Lycée Français de Singapour is within 1 km too. 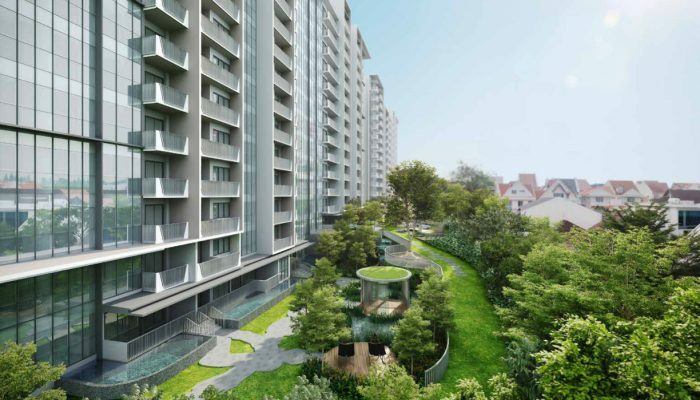 This garden condo is also a smart-enabled project that will feature technology from mobile app developer Habitap. 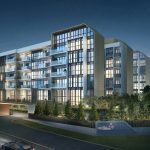 It allows residents to book communal facilities, and control their door locks, air-conditioners, and home appliances remotely, from their smartphones. 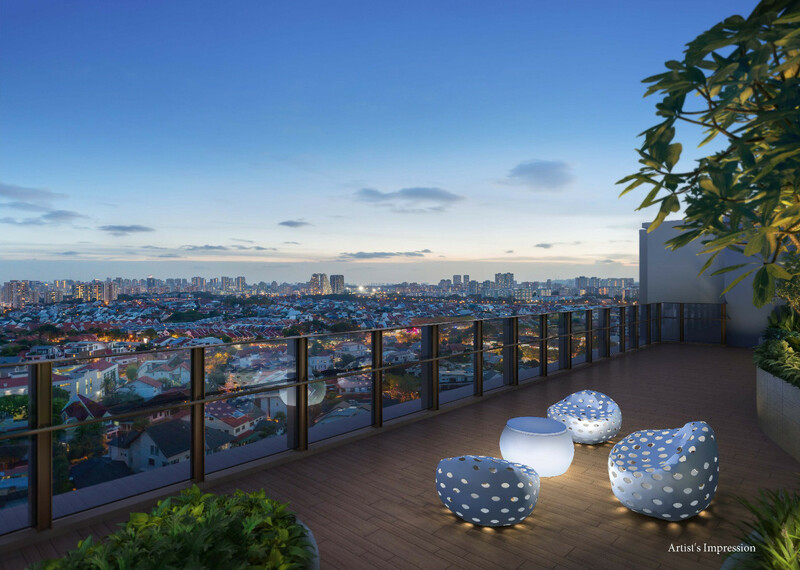 If you would like to attend the Garden Residences VIP Preview or view the showflat, please drop us a line via the Contact Form below. 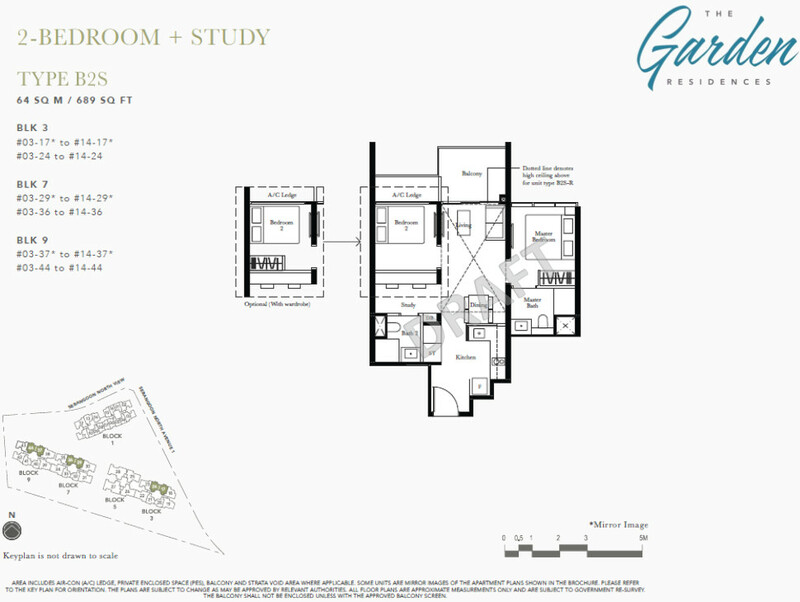 The Garden Residences floor plans are now available. Kindly drop us a note below if you would like the complete set to be emailed to you. 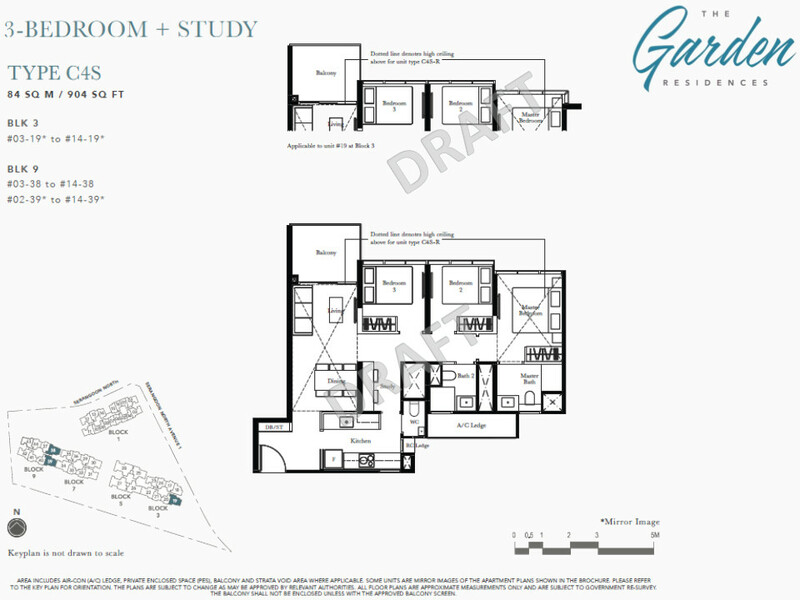 Here are example Garden Residences condo floor plans. 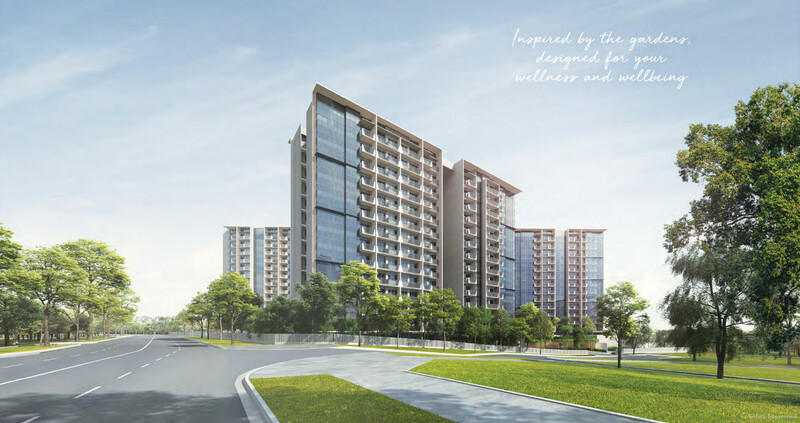 The Garden Residences site is a triangular shaped land parcel, with its main entrance coming in from Serangoon North View, off Serangoon North Avenue 1. As befits its theme of a home set in a garden, it is lushly landscaped, with flowing and organic features, and as many as 55 facilities. There is a 75m curving pool, and 24-hour gym, besides the usual tennis court, gourmet kitchen, dining pavilions, spas, and kids’ areas. 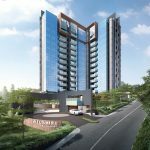 The longest frontage faces the landed housing estate of Serangoon Gardens, which is a good thing, as it allows over one-third of the units to get unblocked views and good wind flows. 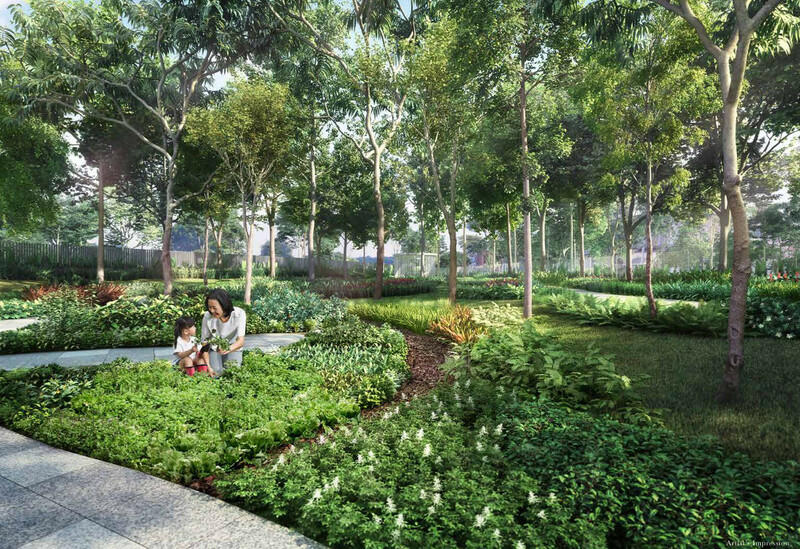 Within the site of the Garden Residences will be a garden with a purpose, lushly planted with a carefully picked selection of over 100 types of flowers, shrubs and plants to purify the air. There is even a community garden for the green-fingered, which also unfolds to little kids the joy of nature and growing things. 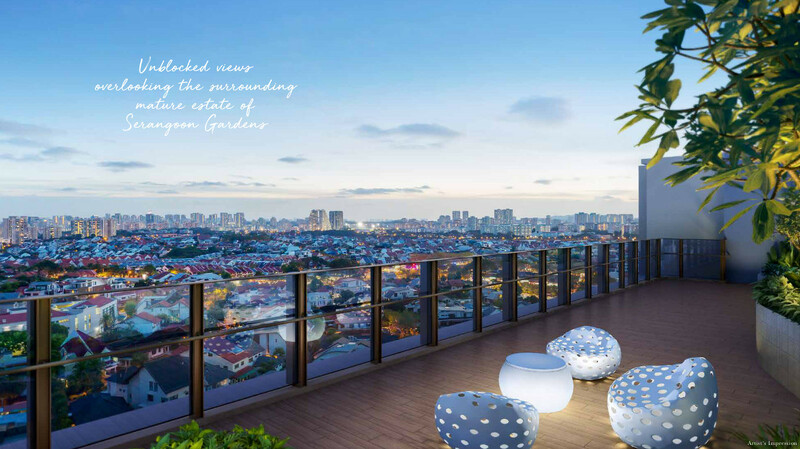 The Garden Residences showflat is now open for viewing. 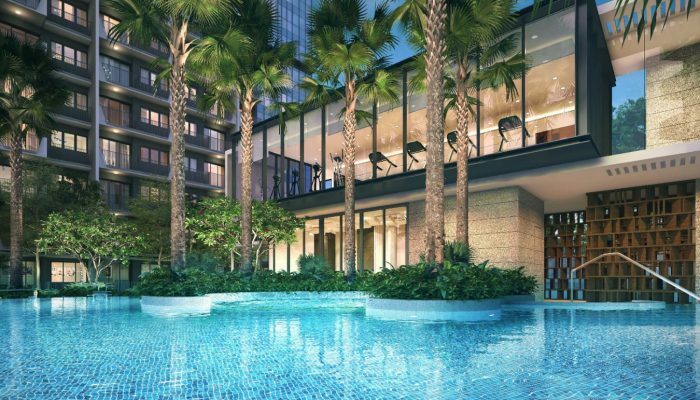 Please drop us a line below if you wish to view the Garden Residences condo showflat. Each unit comes with versatile, modular wardrobes, that you can adjust and configure to your needs, or add to if you like.
. LED light strip and drying racks to kitchen cabinets.
. Efficient use of space with magic corners (for unit types B1, B2S, D3-P & E1).
. Washing machine cabinet doors can swing 180 deg to open fully, for 1 & 2 bedroom units.
. 3, 4 & 5 bedroom washing machines are not housed in a cabinet.
. Induction hobs in kitchens, easier to maintain & clean. Appliances, Sanitary Ware, and Fittings.
. Oven, refrigerator, washer-dryer, induction hob, cooker hood – Electrolux for most units.
. Miele brand for premium units (types C5S-P, D2, D2-R, D3-P, E1, E1-P, E1-R) in Block 5.
. Bathroom sanitary ware & fittings (excluding maid’s toilet) – Duravit and Hansgrohe. 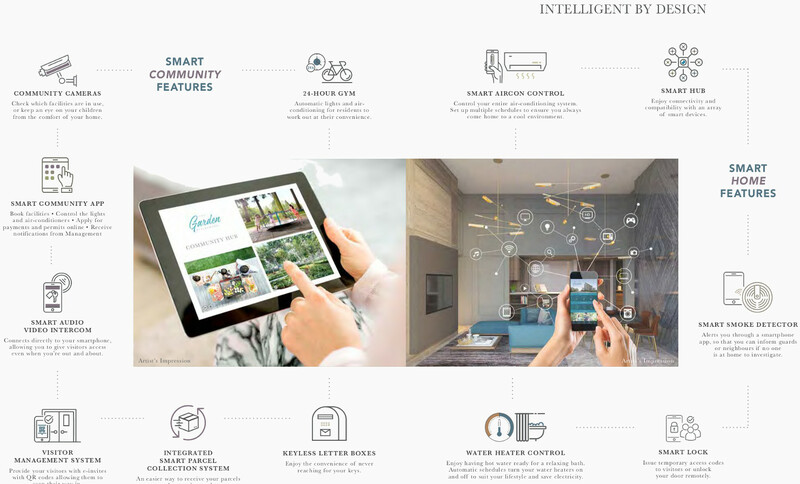 Conveniences of a Smart Home and Smart Community with Intelligent Features.
. Each unit comes with smart air conditioner and smart water heater controls.
. Also a smart smoke detector, a smart home hub and smart door lock.
. Remote security access, keyless letter boxes, integrated smart parcel collection and more. Status as at 21 May 2018 – indicative pricing ranges (before Early Bird Discount for the VIP Preview) are listed below. Please drop us a note below if you wish to be kept posted on detailed Garden Residences prices when they are available. 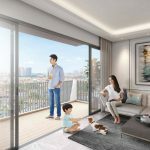 The Garden Residences is being developed by Gardens Development Pte Ltd, a joint venture of Keppel Land Limited and Wing Tai Asia. 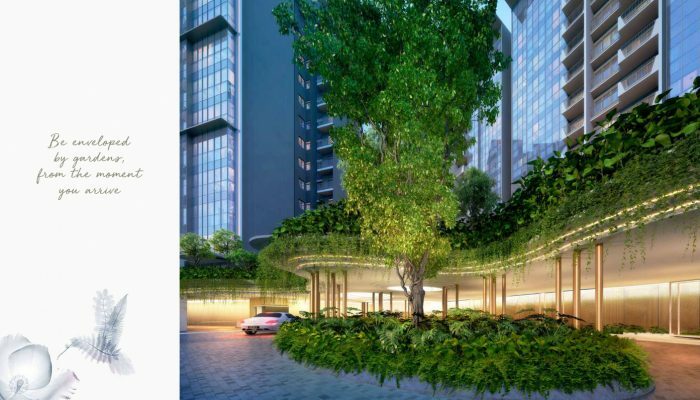 Keppel Land Limited is the property arm of the Keppel Group, one of Singapore’s largest MNCs with businesses in property, infrastructure, and the offshore and marine sectors. 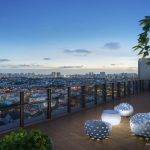 It is known as one of Asia’s top property companies, as much for its award-winning residential developments and investment-grade commercial projects, as for its high standards of corporate governance. 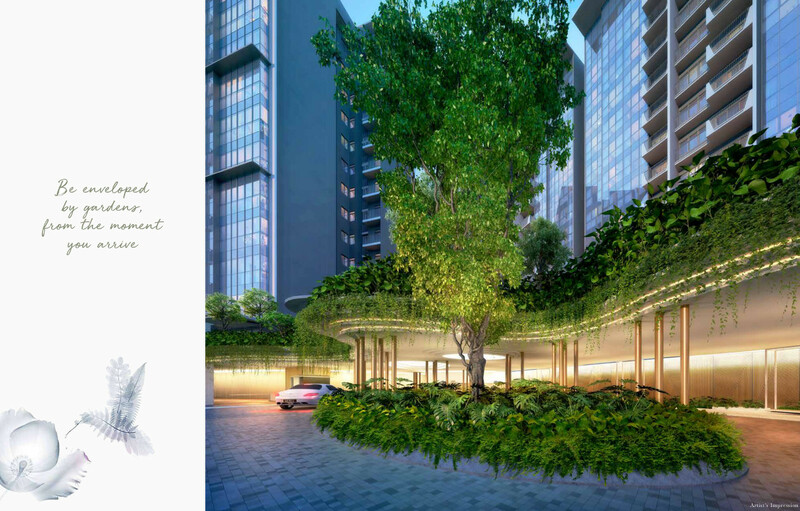 Keppel sees property development as a life-touching, life-transforming business. It aims to help build lives, realise dreams, and shape landscapes; to set a new standard of quality living that is sustainable. 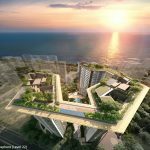 It is this unwavering approach that helped Keppel build its portfolio of award-winning properties across Asia, with a track record that speaks for itself. 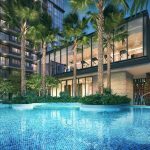 Keppel has redefined Singapore’s skyline with landmark developments at One Raffles Quay, the Marina Bay Financial Centre, and Ocean Financial Centre. 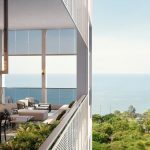 It has contributed to waterfront living with Reflections at Keppel Bay, Corals at Keppel Bay, One Raffles Quay, Marina Bay Suites, and Marina Bay Residences. Wing Tai was founded in 1955 in Hong Kong, and established in Singapore in 1963. 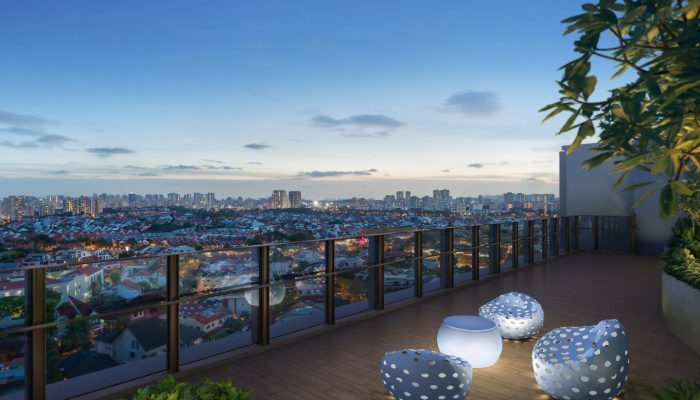 Today, it is a leading property developer and lifestyle company in Singapore. Its core businesses are in property development and investment, hospitality management, and lifestyle retail in key Asian markets. 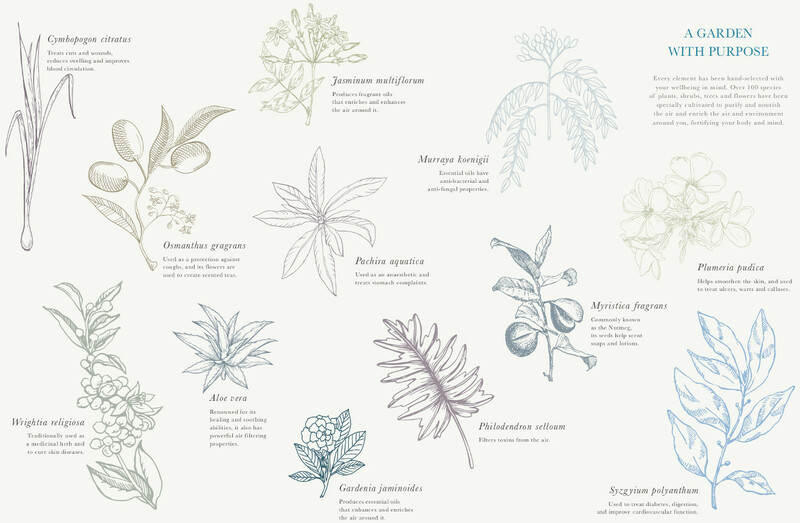 The development philosophy of Wing Tai is directed by quality and progressive design, with a respect for the environment that incorporates principles of sustainability. 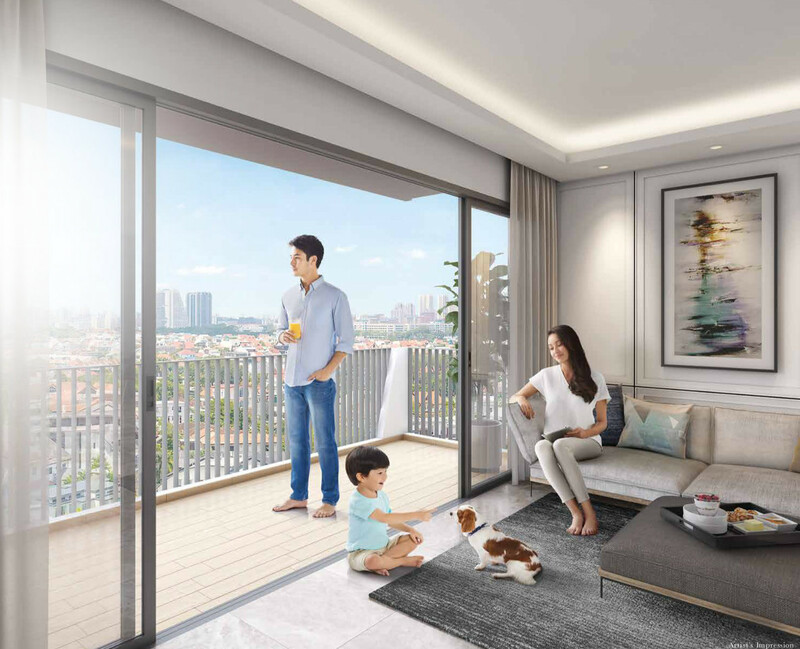 Wing Tai is also committed to quality in every aspect of its developments. This is manifested in their pairing of some of the world’s most renowned architects and designers for collaborations, bringing together contrasting approaches and cultures to create projects of enduring value. 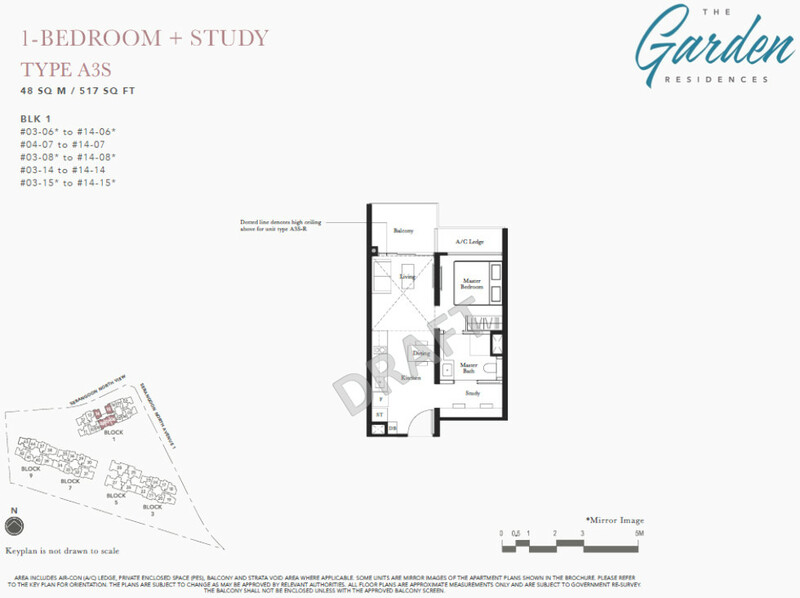 The result is an attractive portfolio of properties sought after by a global clientele. 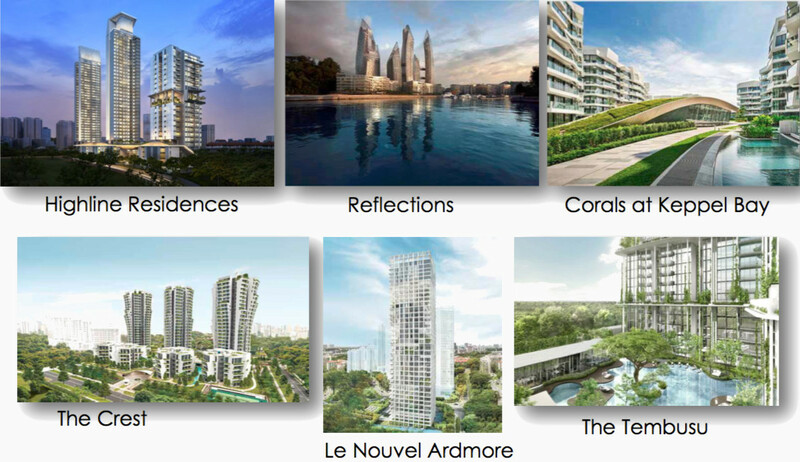 Projects such as Le Nouvel Ardmore, The Crest, Draycott Eight, The Tembusu, and Belle Vue Residences. Location. 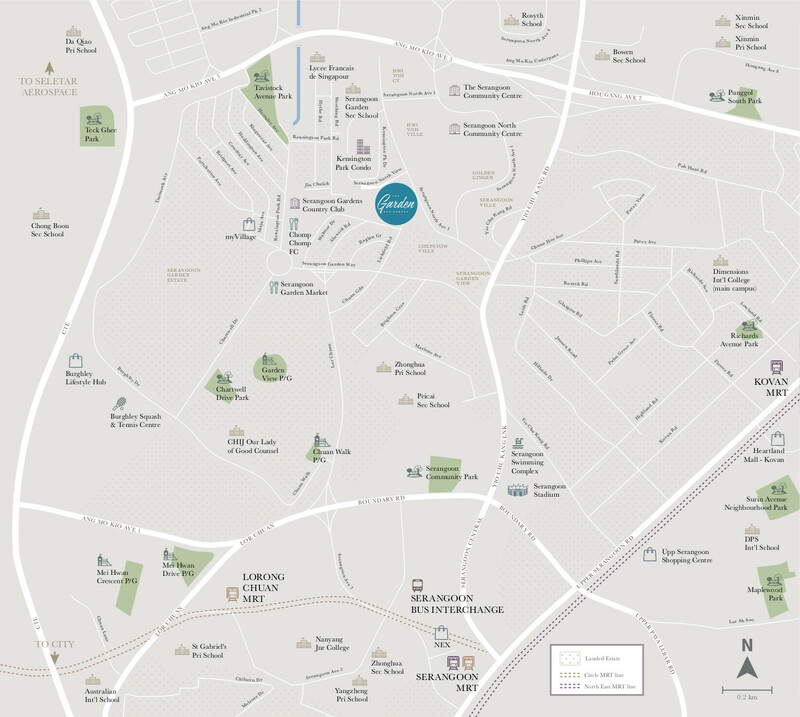 The Garden Residences location is on the fringe of Serangoon Gardens Estate. The surrounding neighbourhood is mainly residential in character, a mix of HDB flats, private landed houses, and condominiums. Shops, F&B, Supermarkets. 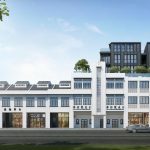 Besides the shops and food stalls in the HDB estate next door, there is also a neighbourhood centre with food outlets, shops, a supermarket, and community club within walking distance along Serangoon North Avenue 1. 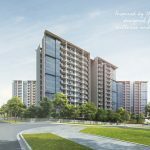 For a wider selection, you can either take a short ride to Hougang One Mall 3 bus-stops up Yio Chu Kang Road, or make your way to the huge Nex mall 2km down the road. But if you prefer a different shopping experience, there is Serangoon Gardens Circus, with its mish-mash of shops, coffee shops and stalls, banks, pharmacies, artisanal cafes, bakeries, wet market & food centre, and the famous hawker fare at Chomp-Chomp food centre. Schools. 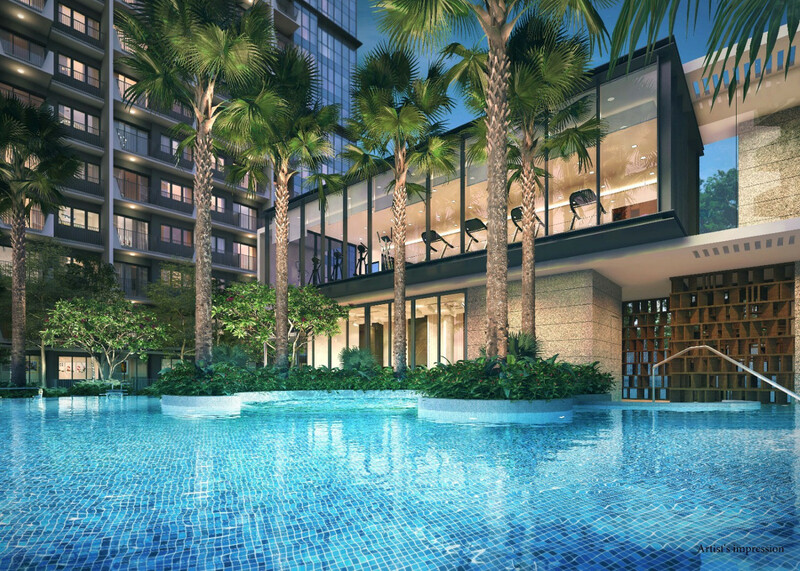 The Garden Residences location is within 1 km of Rosyth Primary School (one of the most sought after primary schools in Singapore). There are several other schools in the vicinity as well. Nearest MRT Station. None within walking distance for the time being. 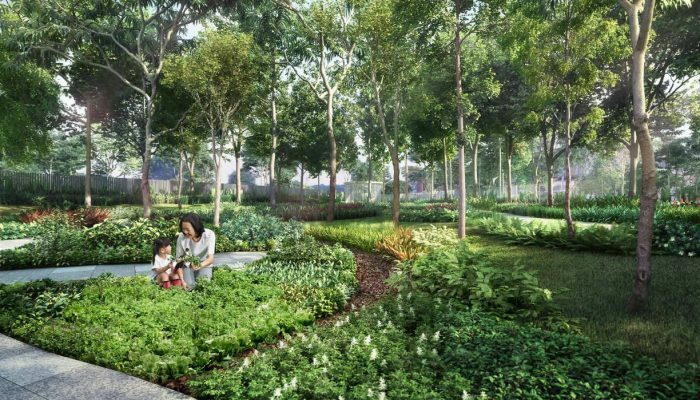 But the Cross-Island MRT line could well mean a nearer station in future, as this line runs quite near the Garden condo location on its route between Ang Mo Kio and Hougang. For now, the developer will provide a free shuttle bus for the first year, to Serangoon interchange MRT station. After that it is up to the residents (via the MCST) to decide whether to continue with the service. Growth Potential. 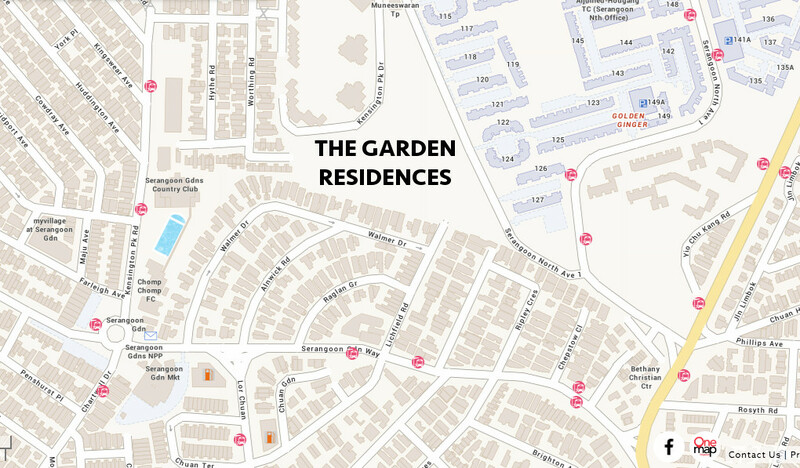 The Gardens condo location is ringed by several growth clusters under the URA 2014 master plan. 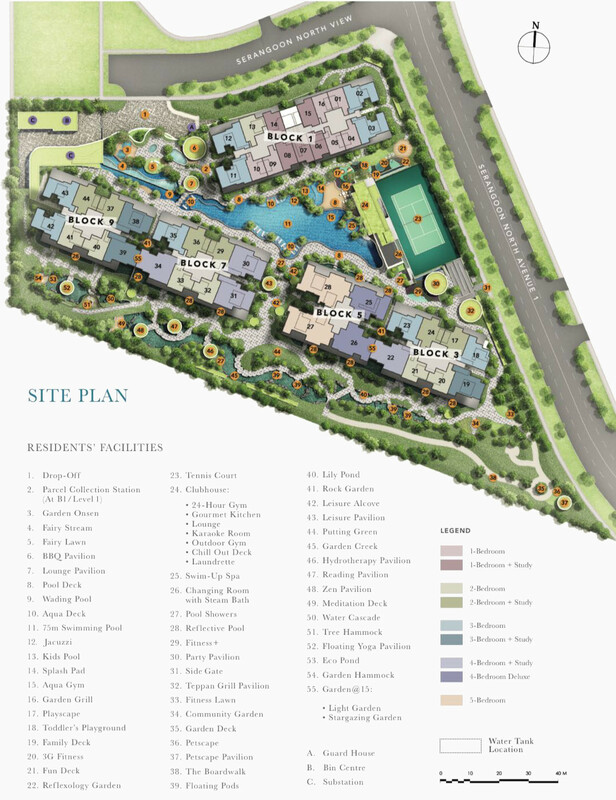 These are areas that have been planned for rejuvenation and the creation of sub-regional centres, with initiatives such as for business or office spaces, or new educational hubs, bringing the live-work-play concept nearer home.